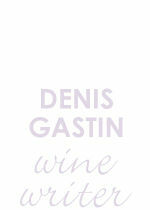 Denis Gastin grew up in Australia's Central and Northeast Victorian wine regions and has had a lifelong interest in wine. Assignments as an Australian trade official in China and Japan opened up new wine vistas for him and, after leaving the government service, he has written extensively about the wine industry in Asia, as well as about Australian wine and other wine topics. His particular interest is the more unusual aspects of winemaking, the more remote and least understood regions of the wine world and the groundbreaking work that some of the industry champions have been doing with exotic grape varieties and new wine styles. In Australia, Denis is a member of the Editorial Advisory Board for Wine Titles Co, the publisher of Australian & New Zealand Grapegrower & Winemaker Magazine, and is also a contributor of articles to this magazine. He contributes the Asia content to Winestate Magazine, and is a regular member of wine judging panels for the magazine. He was the wine columnist for Universal Publications (Sydney Living, Melbourne Living, West Coast Living, Luxury Home Design). He is a feature writer and Australian Correspondent for Japan's liquor industry newspaper, The Shuhan News. He contributes a column to Wine Review, Korea's leading wine magazine. the Asia content for the KEDGE (Bordeaux Academy and Mountpelier University) World Wine and Spirits MBA.